LOUISVILLE, Ky. (AP) — A Florida bank robbery suspect tracked down at an interstate rest stop in Kentucky was killed in a late-night exchange of gunfire that left a sheriff’s deputy critically wounded, authorities said Wednesday. The deputy, 28-year-old Jaime Morales, underwent a second surgery following the confrontation late Tuesday at a rest area along Interstate 75 in Scott County, just north of Lexington — Kentucky’s second-largest city. The fugitive, 57-year-old Edward Reynolds, died at the rest stop, Kentucky State Police Trooper Bernis Napier said. The Sarasota County Sheriff’s Office in Florida said it had obtained an arrest warrant for Reynolds on Tuesday in connection with a July bank robbery. Morales was shot once while teaming with other Scott County deputies and Georgetown police officers in assisting the U.S. Marshal’s Service in apprehending the fugitive, Scott County Sheriff Tony Hampton said Wednesday. With two interstates running through the county in Kentucky’s bluegrass region, its law enforcement officers face the “potential for anything to come through,” the sheriff said. 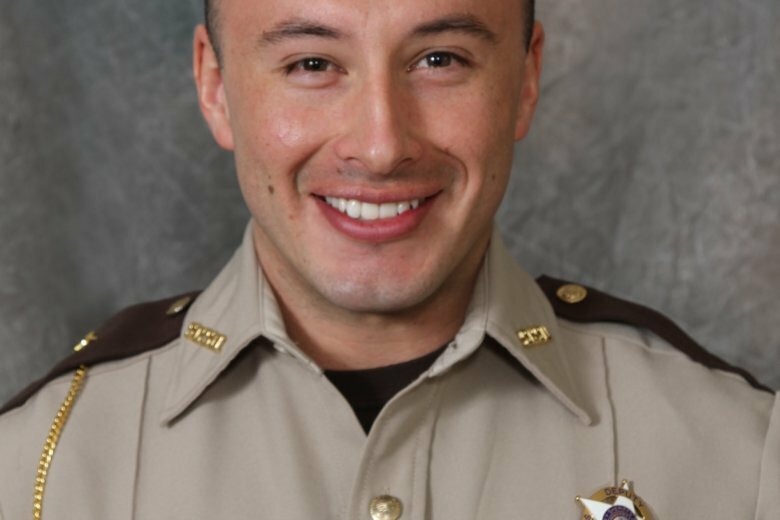 The sheriff said he had been at the critically wounded deputy’s bedside and other deputies were posted at the Lexington hospital with Morales’ family. “I told him I loved him and that we all loved him, and that we’ll be with him and he’s going to get through this,” Hampton said. Mike Cervasi, who lives near the rest area, told the Lexington Herald-Leader that he and his fiancee, Christy Tucker, were in their house late Tuesday when they heard multiple guns fired at the same time, lasting for a few seconds. When Cervasi began listening to the police scanner, he said he heard “officers in panic asking for EMS stat,” the newspaper reported.